SUPER JUNIOR-D&E, three-year national tour held + announcement of regular album release! "I can meet with Japanese fans for a long time, I'm trembling, I'm preparing hard"
SUPER JUNIOR-D&E goes on a national tour of Japan. SUPER JUNIOR-D&E will release its tour schedule for Japan starting on September 14th at 8:00 PM on May 14, and will announce the release of regular albums this summer for about three years. have. This concert, which is the third Japan tour after "SUPER JUNIOR D & E THE 1st JAPAN TOUR 2014" held in March 2014 and "SUPER JUNIOR D & E JAPAN TOUR 2015 -Present-" held in April 2015, Kobe, September 27-28 and October 2-3, Tokyo, October 12-13 Nagoya, October 20-21 Hiroshima, October 27-28 Fukuoka, Japan, October 27-28, It is expected to get a good response to 17 performances in 7 regions from November 3-4 Sapporo. In the new album, which will be released in the coming summer, SUPER JUNIOR-D&E will be presenting a digital single every month starting from November 2017, followed by 'Here We Are', 'You Do not Go', 'IF YOU' , 'Circus', 'LOSE IT', 'Can I Stay' and other songs, including new songs, are enough to meet the music sensitivity of SUPER JUNIOR-D&E. The member DONGHAE said, "It was decided to release the album in about three years. I will be looking forward to the new songs as well as the songs that have been released since November, "said EUNHYUK, a member." I am already excited to meet Japanese fans for a long time. I am preparing to be a fun performance, and I hope you'll come. " 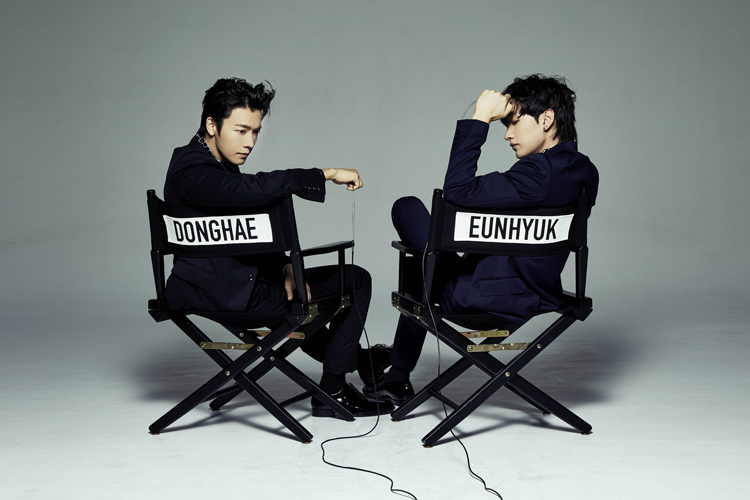 Previously, SUPER JUNIOR-D&E was released in April 2012 as Japan's debut single 'Oppa, Oppa'. It was the second in the Oricon Weekly single chart in the first week, and Japan's first regular album 'RIDE ME' released in February 2014, Album charts, and became the first Korean album to be released in March 2015. The album was released in Korea in March 2015 with the title track 'The Beat Goes On', followed by 'Growing Pains' I have unfolded. Details about the three-year tour of Japan and the regular album announcement can be found on the official SNS account of the official SUPER JUNIOR Japan website, and the official fan club site.